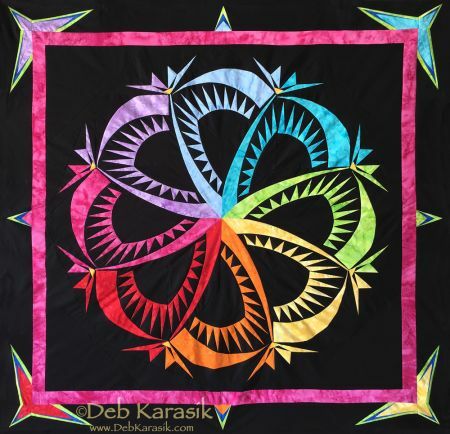 When I originally designed this quilt, I envisioned it with my favorite black background fabric. I finally got around to seeing my vision through! Enjoy! The black I use is Hoffman of California #1895-4 Batik.